Need a fun and creative way to tell your friends and family about your special upcoming event1/3 Magnet shapes are a special reminder that will allow your guests enough time to "Save the Date" for your memorable and special day. 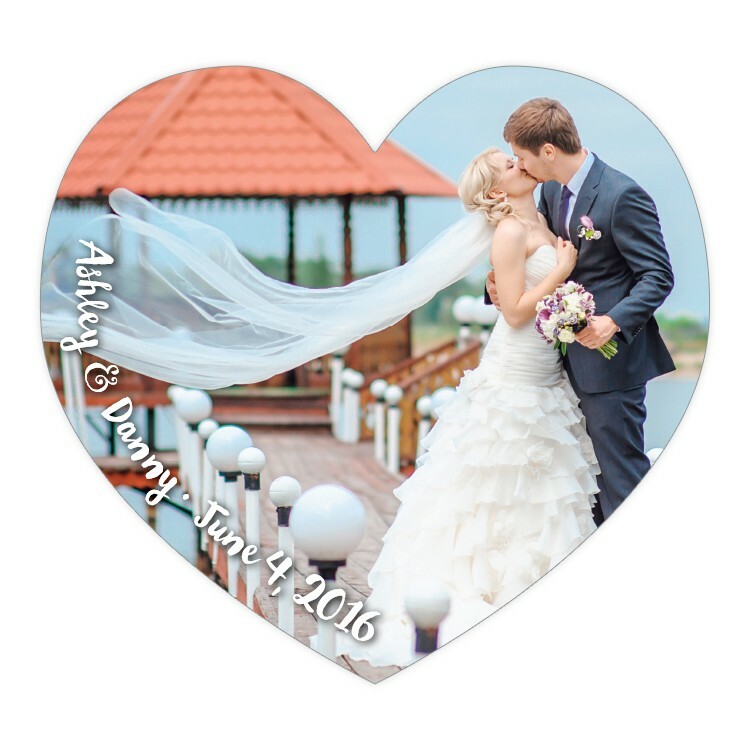 Personalize the magnet with your photo and information and give your guests a unique gift to assure their presence. Full-Color shaped magnets hang around in high-traffic areas and give a daily reminder. Full-Color Magnets stick to refrigerators, filing cabinets, appliances, vending machines, lockers and any other metal surface and will hold paper, pictures and more. 3.25 in. x 3 in. TUFF MAG Magnets are 30 mil thickness and will work on cars or any other metal surfaces are perfect for outdoor applications - water repellent, fade resistant and outdoor safe. Price includes printing in full-color (four color process) on one side. Exact color matches, metallic and fluorescent colors not available in full-color. Write-on/Wipe-off surface not available.